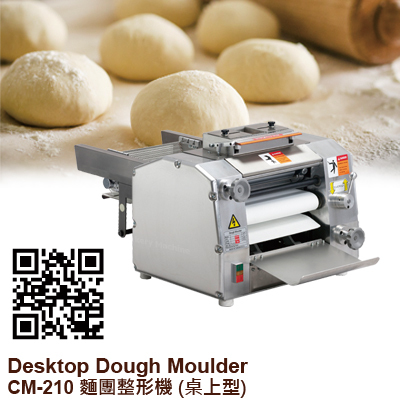 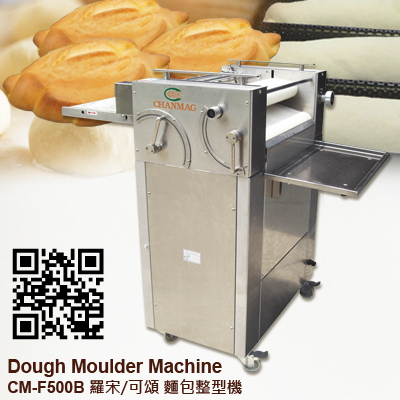 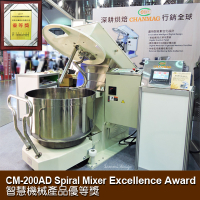 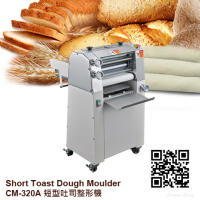 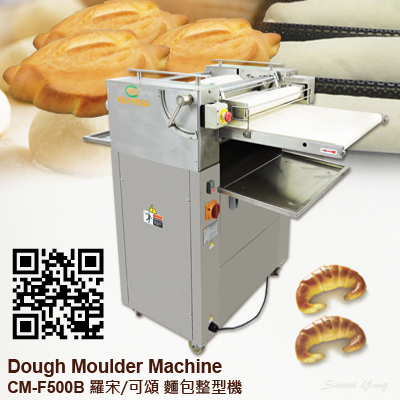 CHANMAG CM-535 Dough Rolling Machine is suitable for use in bakery, baking laboratory or production site to use, hard texture suitable for low water content of the dough pressure of work. 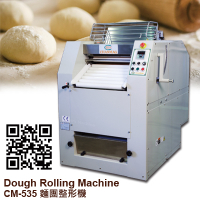 The operator could set the number of repeated rolling demand, then the machine will automatically output the whole dough when the work is finished. 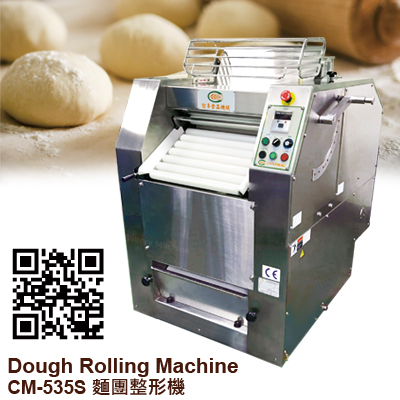 1.The machine with five rollers of two sets can fold and roll the dough automatically and continuously. 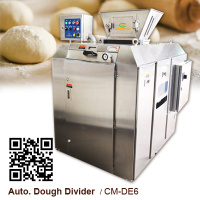 2.It sends out dough automatically after the rolling times finish and then it stops. 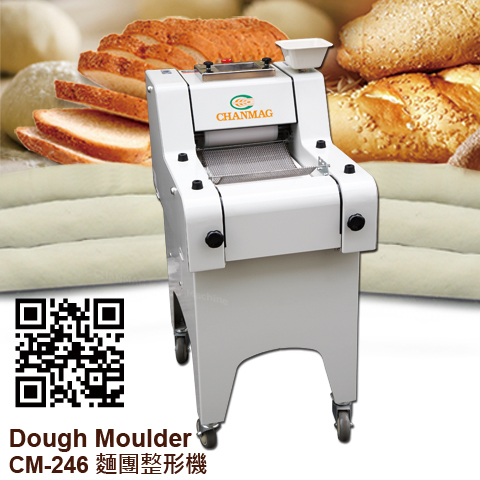 3.When rolling the dough, the sprinkler sweeps out flour smoothly and can be adjustable. 4.The automatic equipment can produce effectively. 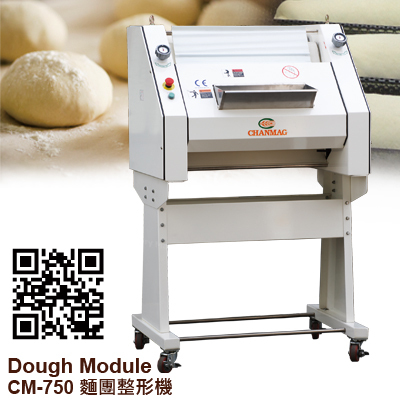 5.Can be connected either the working table or dough cutting knife. 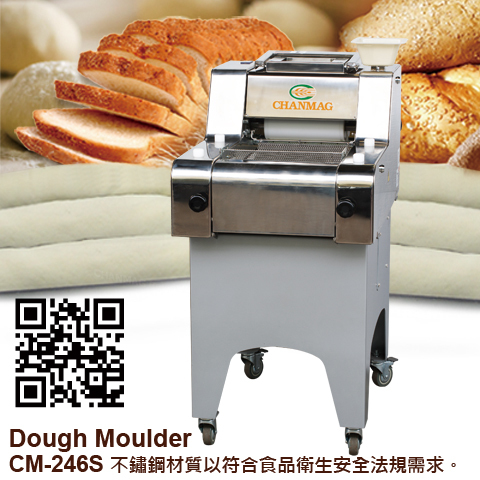 It depends on the needs.